Critics have complained about developer Geoff Palmer’s design aesthetic. Did it cause his building to burn down? 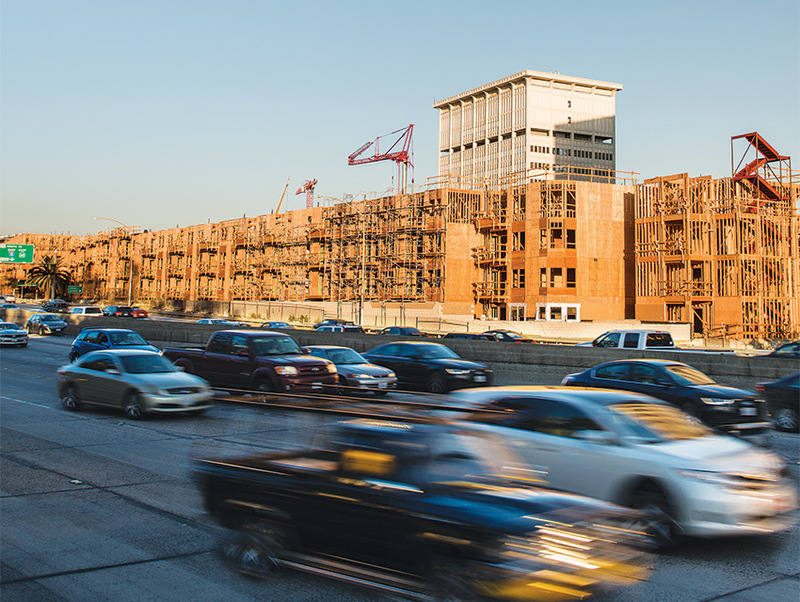 One thing sticks out about the apartment building fire that engulfed the construction site of controversial developer Geoff Palmer’s 1.3 million-square-foot wooden Da Vinci complex early yesterday morning: the immediate announcement of the possibility of arson. It is extremely unusual for Los Angeles fire department officials to raise the possibility of arson on the same day, indeed, the same morning, of a major conflagration. It is likely that there will be at least two such investigations into the matter, one by the city and one by the federal ATF, and possibly a third by Palmer’s insurer. At this point, considering the extent and intensity of the fire, it is being termed suspicious. Officials have already said they want to look at Palmer Associates’ financial records—which have been obscure, since the firm is privately held. The fire destroyed half of the company’s 500-unit project. The other nearby 250-unit Da Vinci building appears to have sustained little damage. Palmer, who I wrote about in this December issue profile, has said he will proceed with the completion of the other building in January. He told the Times he also intends to rebuild the burned out structure. date back to 60 years and don’t take into account the immense concentration of mid-rise residential building now taking place, particularly downtown. 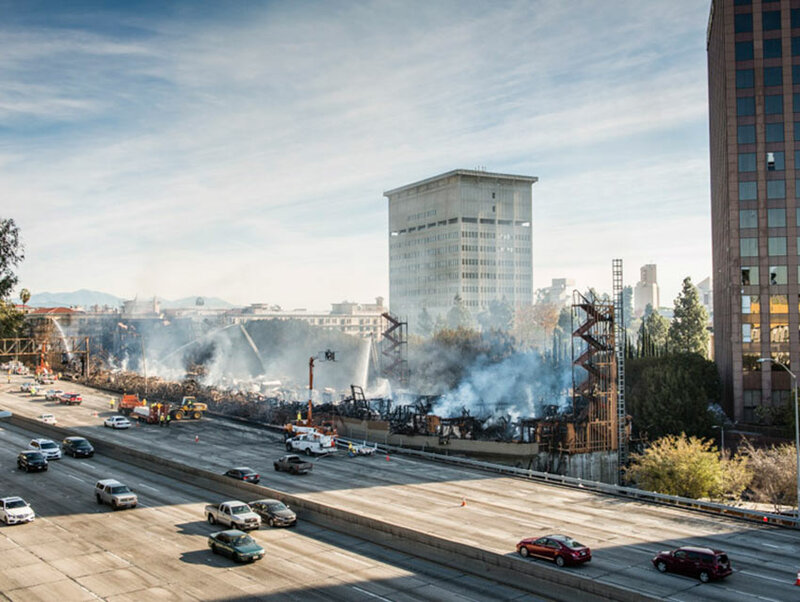 Also notable is the hefty collateral damage caused by the structure’s burning to nearby steel framed buildings like the DWP and county Department of Health Services towers. This suggests that very large wood framed buildings such as the DaVinci not only present fire danger to themselves, but to nearby fire-resistant buildings as well. And that, whatever other criticism Geoff Palmer faces for his design aesthetic, the city should demand, via its building codes, that such buildings be designed to be more fire-safe.